Teams represent a group of astronauts on a training mission. Forced to evacuate the Space Station they have landed safely back on Earth in a remote region. What must they do to be rescued? The clock is ticking and time is short. Having landed somewhere in the Koruk Mountains teams must reach a certain location in order to be rescued. To achieve that goal there’s a lot to do! The pressure is on. Teams have a map but no idea where they are on that map, they’ll have to work it out - and the same applies to their pick-up point. How far away is it? How quickly can they travel? They’ll need to camp overnight - in hostile conditions. 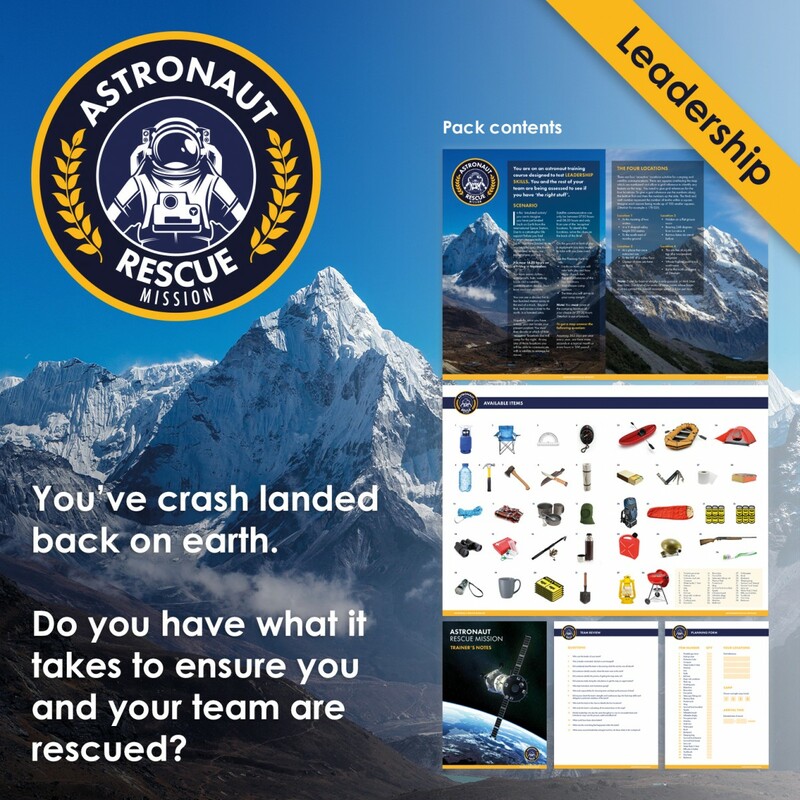 Survival equipment is in the landing capsule, but which items should they take - it all needs carrying in backpacks. How will teams work? There’s a lot to sort out so they need to prioritise. 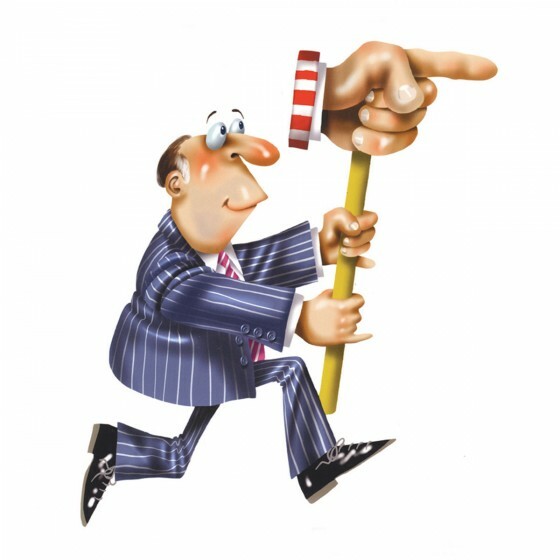 Will anyone establish themselves as leader? Who’s good at reading maps (guidance provided in the Brief)? Which items are essential? More important, do they realise the time pressure? The longer they take to prepare, the less time they have for their journey. 10 ‘leadership trigger points' have been identified. At each somebody has to take the lead and push the team on. Taking too long means they won't make the deadline. Ideal for observing teams and how they interact under pressure as well as identifying those individuals who show leadership potential. Ultimately this activity leads to a useful discussion about what makes a good leader, what leadership is all about and how participants can demonstrate leadership skills back in the workplace. 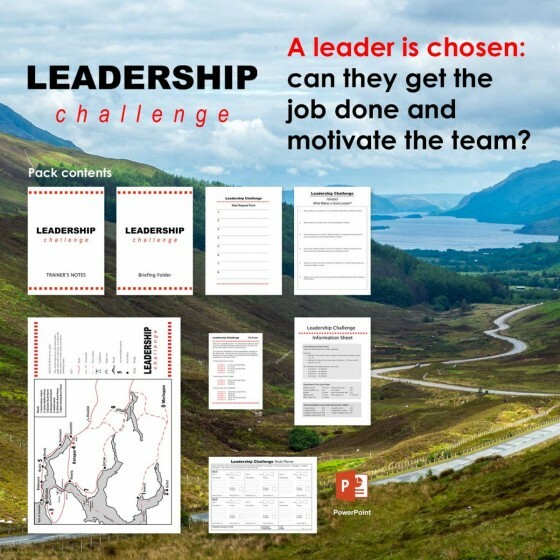 Introduce the activity as a teambuilding activity with a focus on leadership skills. Divide the group into teams. Typically 3-6 per team. Issue several copies of the Team Brief to each team. When a team gives you the correct answer to a question in the Brief, issue them with a copy of the Koruk Mountains Map. Observe team performance and note the ‘leadership triggers’ (listed in the Trainer’s Notes). Issue Planning Forms and remind teams that time taken in making their initial decisions is added to their travel time. After 30 minutes remind teams of the approaching deadline. Stop all teams at the 60-minute point. Issue the Review Form so they can assess their performance and reflect on examples of leadership they demonstrated during the activity. Conduct a Debrief, focusing on the 10 triggers. Discuss and summarise key learning points. Full guidance supplied in the Trainer’s Notes. Off the shelf, convenient, reusable... 'spot on'... excellent! Astronaut Rescue Mission is a very versatile and engaging activity. Whether I use it as a team activity, a leadership challenge or as an ice breaker it never fails to produce important discussions that add value. 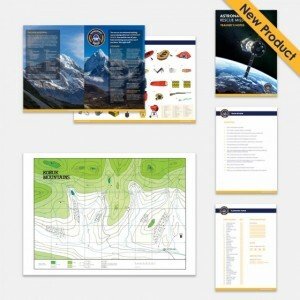 The activity gives you great planning opportunities, attention to detail and collaboration aspects. The quality of material as ever only enhances the perception of reality. To summarise, a flexible, dynamic and appropriately challenging activity. I used the Astronaut! activity on the first day of a programme with Team Leaders – they all worked in a warehousing environment and were very nervous as they hadn’t experienced leadership training before. The Astronaut activity really helped to put them at ease and broke the ice as they all got involved in solving the problem. Without realising it, they all demonstrated leadership skills at some point in the activity, and the debrief was both fun and enlightening as they realised the different skills they already had (along with those they want to develop). Astronaut! worked well with a group who were a little unsure of themselves and the training, and resulted in some excellent discussions on leadership styles. 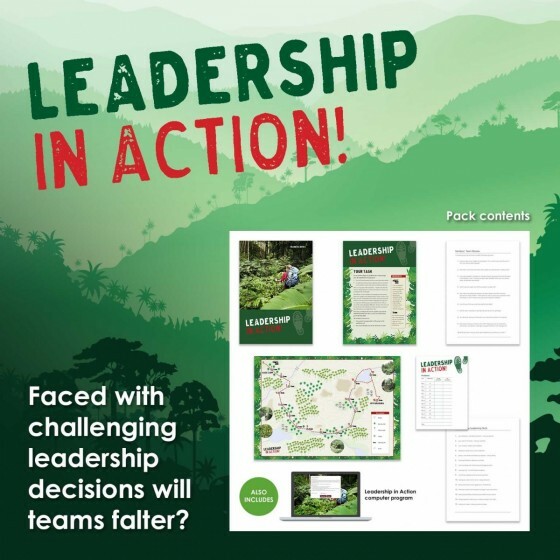 Test teams' leadership skills with this exciting learning resource. Challenging, enjoyable and instructive.